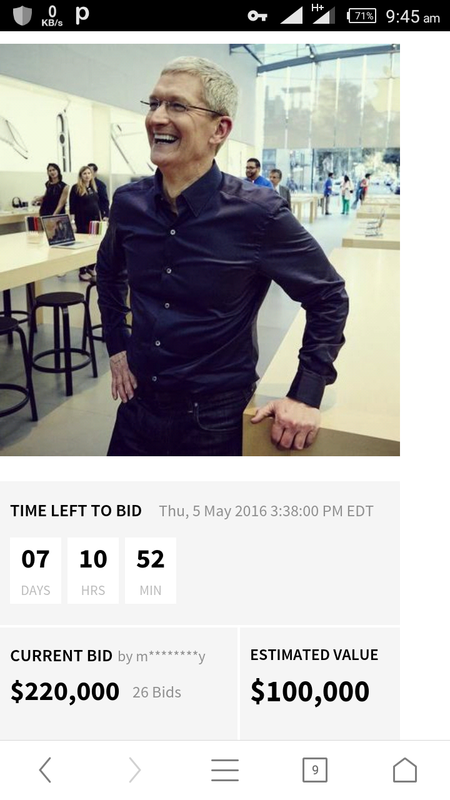 How Much Will You Bid To Have A Lunch With Apple CEO Tim Cook? There is currently an auction program targeted at generating revenue for charity but the highest bidder will have a lunch with Apple Chief Executive Officer for one hour at campus in Cupertino, California. Tim Cook is among times 100 most influential people in the world and prior to being named Apple CEO in August 2011, he was Apple’s chief operating officer in charge of the company’s worldwide sales and operations. Tim earned an MBA from Duke University including a bachelor’s degree in industrial engineering from Auburn University. What Is The Purpose Of This Biddings? It is not just to have lunch with the Apple CEO but is like an auction bid where the money realized goes to charity work at RFK Human Rights, an international human rights organization. You can see more info via Charitybuzz. So i think if you have the money, it won't be a bad idea to dine with Apple CEO.